cause this baby is coming soon. and we are starting to get ready around here. we just got back from our last childbirth class. i still feel unprepared. our class shrunk by more than half from the first week. our instructor had certificates of completion for all the couples. i felt bad that she had them all made, and only 6 couples remained to take them home. or in my case crumple it into my purse and then leave it on the floor of matthew's car where ti will inevitably get dirty and muddy and wet and torn, and then thrown away. but at least we were there to take it off the table. the crib is put together. no mattress yet, but the crib is made. the changing table should arrive by post any day. our new working camera was ordered today. the baby clothes we have are folded and organized by size. we are getting there. it seems there is still so much to do. 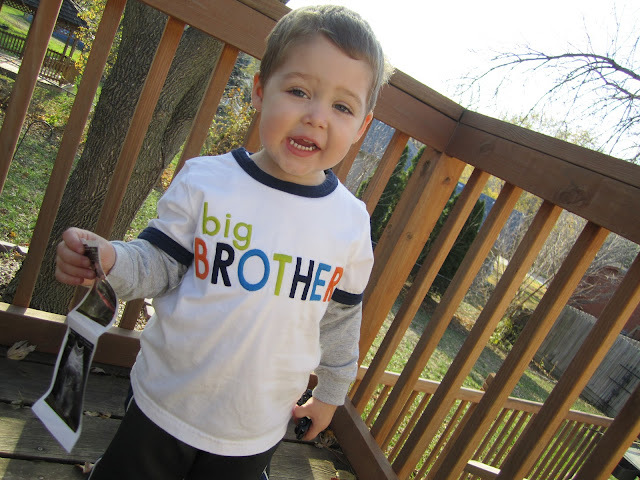 but in a few short weeks, our baby boy will be here. i will be able to look into his face, i will be able to hear him, and feel him, and kiss his head. all the questions will be answered. we will know what color his hair is, and if he will have his fathers ears. so many questions will still yet be unanswered. will his eyes change color, will he take to breastfeeding, will he start sleeping through the night early? will he like to tease me like his father does, will he be shy, what will he grow up to be? and much quicker than expected all those questions will be answered too. and i will be left wondering if i was a good mom, if i gave him all i could, if i loved him enough, and taught him right, and set him out on his way. i guess being a mother means never having all the answers. i guess it is one big question mark. and today i am wondering what day he will come to meet us. i am wondering if i will be ready when he comes. Dear Melinda Sue, I just saw pictures of you on your mother in law's blog. You're gorgeous ! I don't comment each day but I come almoste each day on your blog. I am sooooo excited! I'm going to be uncle Jesse...just call me Jesse Katsopolis. I love Axelle's comments...every time I read them, I smile! And yes, your life will be one big question mark....but that's okay :) It's part of the fun :) Enjoy! Let's start guessing on the date of birth!!!! I say Aug 24th because it is a full moon!! !